Body type or constitution is a grouping of human particularity in metabolic, functional and structural similarity that has been formed during incubation period of life. Constitutional medicine is an approach to looking at how disease progresses differently among such different groups of people and administering treatments based on the recognition of distinguished patterns in each constitutional type. While Western medicine has excluded constitution or body type as a subject of medicine for hundreds of years since Greek physician Galenus, the two medical traditions in the East developed comprehensive constitutional medicine. They are Ayurveda Medicine of India and Sasang Medicine of Korea. In Ayurveda, body type is determined by the three major life forces, called dosha (vata, kapha, and pitta). The doshas are formed by combining the five basic elements of the Universe. Then, the doshas affect life energy, called prana, and help determine a person’s body type, personality, and overall health. In Sasang Medicine, body types are distinguished by predisposed imbalances between four major organs, i.e. lung, pancreas, liver, and kidney. Four body types are found as a result of four combinations of imbalance between these major organs. 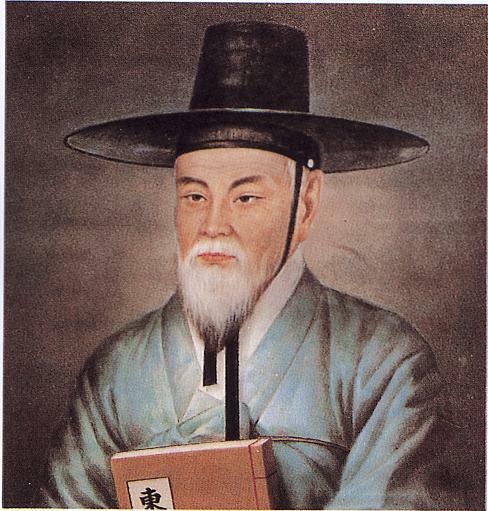 Sasang[Sa-Sáng] constitutional medicine is a traditional Korean medicine, which was founded by Jae-Ma Lee and systematically theorized in his book “Dong-Yi-Soo-Se-Bo-Won” [the principle of life preservation in oriental medicine] in 1894. Major distinctions of the body are formed during incubation period of life, rendering person’s predisposed weakness and strength. This prenatal imbalance determines a person’s constitution, physiology, pathology, emotional orientation and nature. As a result, each type shares the similar aspects of bodily structure, function, and metabolism, as well as psychological and behavioral characteristics. The mechanisms of each type of physiology and pathology differ, therefore, so should the treatment of each type. This is in sharp contrast in forms of medicine that choose treatments because they are supposed to help a named condition. Sasang medicine uses Chinese herbs to treat various conditions of four different body types. By knowing the person, practitioners are able to help the person’s predisposed weaknesses to improve body’s self-healing power, rather than directly attacking the manifested disease, which often disturbs unaffected parts of body as well. In many cases, the effects of constitutional treatment are realized more quickly and last for longer period of time. In Sasang medicine, 4 major body types are distinguished. They are So-Eum-In, So-Yang-In. Tae-Eum-In, and Tae-Yang-In. Most of people can be categorized in these 4 body types. There are variations in manifestation in many possible ways since no two humans are alike. However, these variations all stem from the root of these four. A person is likely to have a big and round head. It is highly possible that the nape of the neck and the back of the head are prominent, and the jaws are short and eyes are small. Generally, the stature is upright but the lower body and the back are weak compared to the upper body. The body is generally slim and give others a smart look with eyes. A person is likely to be smart, decisive, progressive, heroic and proud. This person is creative but excessively motivated which makes him unable to associate with others because of his self-centered attitude. The person likes to criticize others and creates a resentment from others. As a genius type, this person is talented in invention, strategy, revolution and music. But if he doesn’t have these talents, he is likely to be a useless person. Due to the creativity, this person is likely to think of things that other people cannot. He has talents but lacks the ability to plan. Although the person is very independent, but men of marked individuality, the person has strong interests in possessiveness and are reckless and rebellious. The males of this type respect their families but have no interest in the households. The females of this type have strong desire to protect their families but due to their weak lower body, they are unable to stand up for a long period of time making it hard for them to do housework. Furthermore, they are liable to be self-centered and have weak motherhood for their children. They are unable to associate with other people and are likely to be stubborn, making them singled out from their neighbors and families. A person is likely to have big lungs and a small liver. In addition, Taeyang type have a big large-intestine but a small gall. In other words, a person is likely to have big lungs and large-intestines but are excessive while the liver and the gall are small and inefficient. The shape of the face is oval, and eyes, nose and the mouth are generally flabby. Physique can be said to be big. The muscles and frames are highly developed, the lower n body is more developed than the upper body so generally they have a commanding presence. It is the merit that they have a strong sustaining power, are usually slow in character and are very understanding. Once they initiate something, they never give up. Without any exceptions, they hang on to it till they see the end of it. They are loyal to their family and their business, however, they are indifferent to exterior matters or other peoples’ business. As a result of that, he hears that he is selfish or that he is an egoist. Also, he has self-confidence and is greedy, and in the case of women, they are not very amiable. Once they are negligent it goes on and on, and they are heroic or optimistic. They are very pusillanimous and contain the disposition of becoming a private business man or a politician. The body is structured to have a big liver and small lungs. The liver functions well, but the lungs, heart, intestines, and the skin are weak and they sweat a lot. However, the more one sweats, the better it is. Their sense of smell is highly developed. In case of females, they have no figure but has a good first impression. Most of them have a dignified presence and look virtuous but beautiful women are rare. In winter, their hands and feet get easily chapped. The head is popped out in the front and the back. They have positive expressions. The chin is pointed, the mouth is not too big and the lips are thin. The eyes are especially very sharp. The characteristic of the body is that the upper body is weaker compared to the lower body and legs are thin. There are hardly any over-weighted people and the area around the chest is well developed. They look cheerful and look light on their feet. They always focus on the distance when walking. There people are outgoing, polite, witty and have a quick sense of judgement. They are generous and have the spirit of serving the public. Their belief does not change according to relationships. They are upright and have righteous indignation. They have a quick temper, are light on his feet and make a lot of mistakes. They get angry easily, not plan well, and are pessimistic and panic easily. Their Human relationships are not bad but have a tendency of not taking care of their family. In terms of the body structure, the spleen is big and stout, while the kidneys are small and weak. Likewise, contrast to the big stomach which is the body’s intestines, the bladder is small. The body also contains a lot of heat, has good indigestion and does not sweat very much. The sense of sight are highly developed. In the case of males, he lacks stamina, and in the case of females, her kidney functions are so weak that there can be cases which she cannot reproduce children. Most Soeums have a small physique. Their faces are elegant and gentle. In short, Soums have a small physique from their figures to their faces and have neat features. The lower part of the body is more developed than the upper. They have relatively less muscles but have thick skeletons. Their height and figure is mostly small but well balanced. They have a gentle and warm look. There are many fair men and women among them. The lower part’s position is healthy and neat with sincere grace. They are speculative, steady and cautious at everything. They make quick judgements and are bright and polite. They are also delicate, introvert and self-centered. But they easily get jealous and are calculative. They do not remove their anger easily once they get angry. They are always insecure and get hurt easily by small things. Women keep up a good household. They are fit to be an educator, religonist, scholar and clerk. The organs are in a small spleen and big kidney from which is a person with a big kidney and spleen a small . Soums frequently have digest diseases, for the spleen and the stomach’s function is weak. The suffer from gastritis, gastroptosis, hyperacidity, habitual stomachaches, anorexia diseases, melancholia, carsickness and diarrhea.